"Absolutely wonderful experience! Dr. Okasi is very warm and friendly, as is her staff. " "She is sweet, well-mannered, knowledgeable, encouraging and down right awesome. " "I highly recommend her for any woman, she has such a beautiful outlook on life." Dr. Chetanna Okasi of Women’s Wellness MD is a licensed OB/GYN serving those Columbia, Maryland, and the surrounding areas. Dr. Okasi specializes in all forms of female health care ranging from complete well-woman exams to family planning and contraceptives. 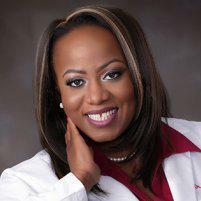 As the founder and director of Women’s Wellness MD, Dr. Okasi provides holistic gynecologic care to women of all ages. Her approach to health care focuses on each individual’s journey to physical and emotional wellness. Complex issues are made simple and she takes the time to truly listen. Having graduated from the prestigious Harvard University, Dr. Okasi’s resume spreads far and wide. She attended Mount Sinai School of Medicine in New York City, graduating with Distinction in Research, and then completed her OB/GYN residency at Sinai Hospital in Maryland where she was awarded the Resident Research Forum Award. Born into a family of five girls, she has a strong passion for women’s health and helping each woman live her best life. She was the Founder and Director of the Adolescent Health Education and Development Program (AHEAD) for teens. She also worked as a Maternal and Child Health Volunteer at Royal Victoria Hospital, Banjul, Gambia, and has participated in medical mission trips to Africa. Dr. Okasi’s giving nature is reflected in her practice, Women’s Wellness MD, where the goal is the provide comfort and care to every woman that walks through the door. Dr. Chetanna Okasi and Women's Wellness MD accepts most major insurance plans. If you have any questions, please call our office and speak with one of our knowledgeable staff members.